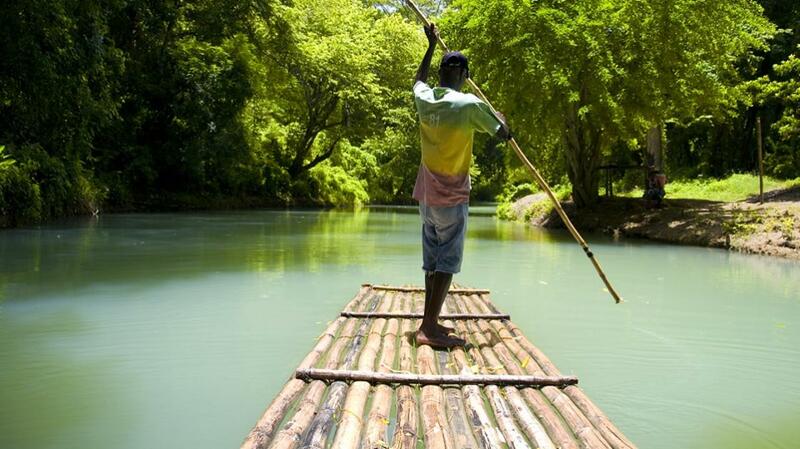 An afternoon spent on the Martha Brae River is an ideal way to relax and unwind on your holiday. And, there’s no better way to enjoy the sights and sounds of the interior of the island than by bamboo rafting in Jamaica. The best way to enjoy the sights and sounds of the Martha Brae River is taking it all in on a bamboo raft. The river runs through the jungles of the Trelawny Parish on the northern coast of the island, where you’ll be able to enjoy the sights and sounds of the river and the exotic wildlife that call it home. The river itself holds a rich history and many legends that your guide will share with you during your journey. Bamboo rafts were a key tool during the golden age of Jamaica’s plantation era. The Martha Brae river connected the sugar estates on Jamaica’s northern coast to its port towns, and bamboo rafts were used to transport sugar and other crops over this distance. The bamboo rafts that are used today utilize the same designs as those during the plantation period of Jamaica’s history. While bamboo rafting in Jamaica you will be able to take in all of the beautiful sights and sounds of the Jamaican rainforest from a hand-made 30-foot bamboo raft. The trip will take approximately one and a half hours, making it a perfect tranquil excursion. During the tour, an expert guide will tell you all about the legend of the river and about the nature that surrounds it. You’ll also have the opportunity to come across the famous Miss Martha’s Herb Garden. This herb garden that is home to some of the most sought after healing herbs in the world and makes a quick informative stop to learn about traditional Caribbean medicine. Thinking about taking a romantic break to Couples Resorts with your significant other? Contact us and we can help find the best resort for you!